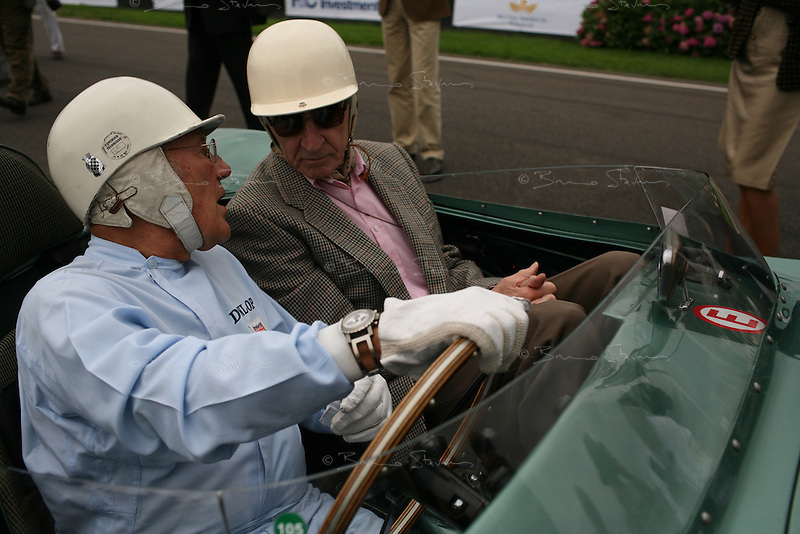 Goodwood Revival, 2007.Three legends: Sir Stirling Moss (at the wheel), Roy Salvadori and Aston Martin! The Goodwood revival is one of the largest historic car races events in the world; 3 days of racing at the highest level with some of the best pilots past and present driving historically important cars to the limit...and sometimes beyond! 110 000 spectators and participants gather in period costumes for a unique event.